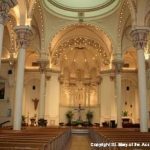 The interior of St. Mary Church remained virtually unchanged from it’s consecration until the 1970s when the interior was lightened and simplified with the removal of the high altar, the altar rail, and much of the sanctuary. 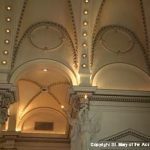 A major restoration project was undertaken in 2008-2009. 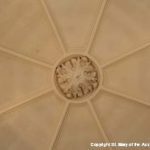 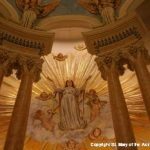 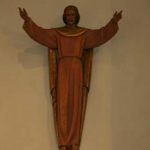 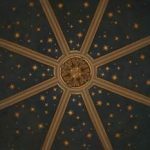 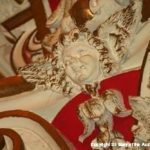 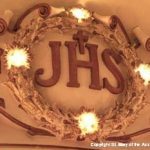 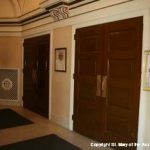 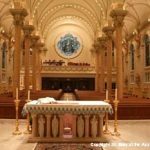 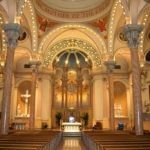 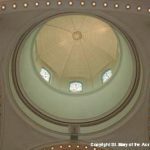 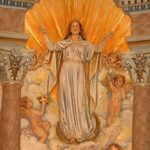 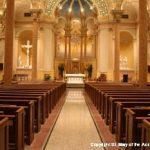 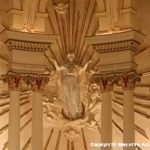 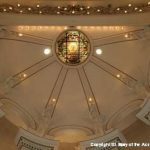 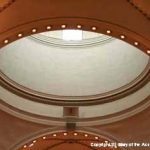 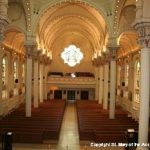 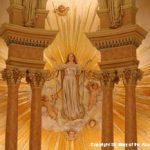 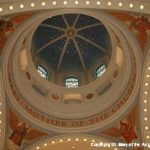 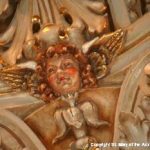 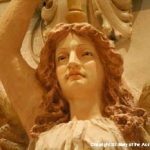 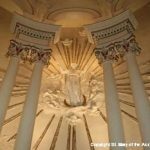 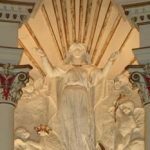 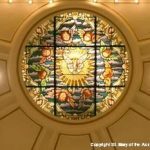 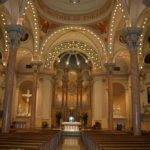 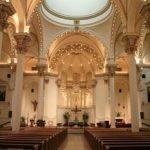 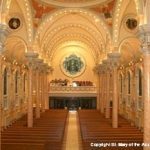 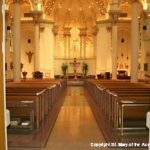 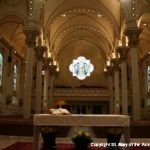 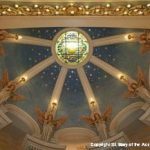 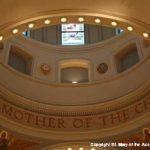 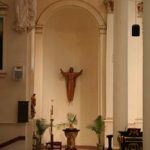 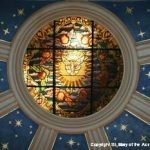 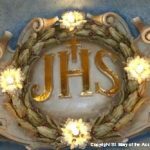 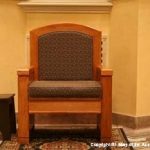 In addition to necessary repairs to structural elements and electrical systems, the restoration sought to bring into harmony the present-day liturgical and functional needs with the splendor of St. Mary’s architecture. 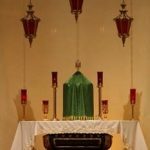 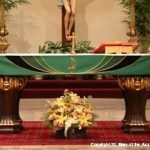 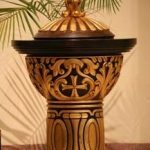 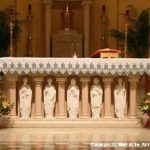 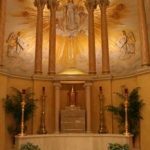 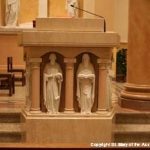 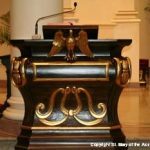 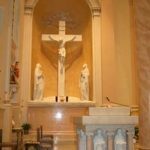 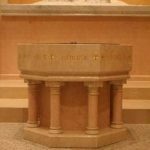 Permanent liturgical fixtures were installed, including a new altar, ambo, baldachin and baptismal font, each constructed of Bottochino and white Carrara marble. 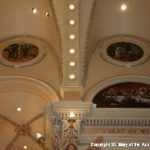 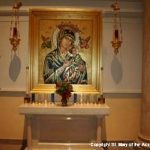 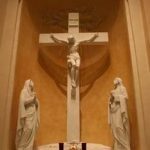 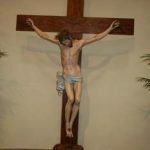 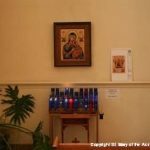 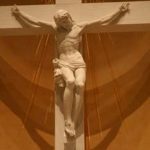 New pieces of artwork were commissioned (the Crucifixion statue, the Holy Family statue, the Mother of Perpetual Help Icon and oil paintings depicting the Stations of Light) and previous works of art were refurbished to enhance liturgical and devotional celebrations. 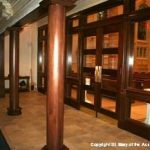 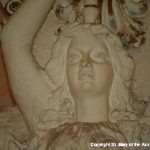 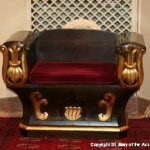 The photos below show BEFORE AND AFTER images detailing the improvements made during the restoration.